Research has shown that many of the world’s longest living people consume regular daily helpings of a tiny red fruit that may just be the world’s most powerful anti-aging food: the goji berry. Thanks to years of dedicated scientific research, FreeLife is the only company in the world to have developed a Spectral Signature® to identify, isolate, and harvest only those special goji berries with the exact nutrient profile of the legendary goji from the Himalayas. 100% goodness in every bottle – guaranteed! 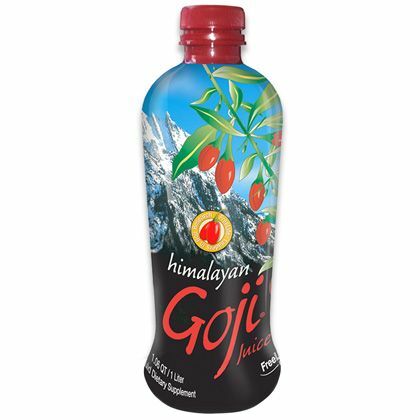 Ingredients: Proprietary HIMALAYAN GOJI Juice (reconstituted goji juice from whole Lycium barbarum fruit), grape juice concentrate, pear juice concentrate, apple juice concentrate, pear puree and natural flavor, with sodium benzoate and potassium sorbate added to maintain freshness.